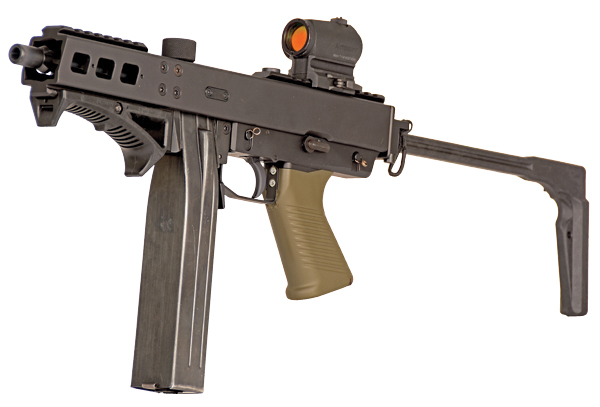 With another firearm for 2015, B&T is making friends with subgun fans this year. 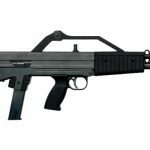 Utilizing a Finnish Suomi M31 50 round quad-stack magazine, the firearm also has a magwell adapter to use the common B&T 9mm magazines shared in the APC9, MP9, and P26. 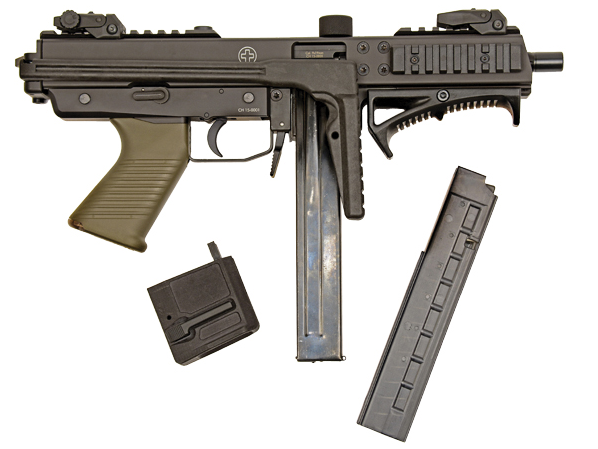 Also shared is the folding stock seen on the MP9 and P26. 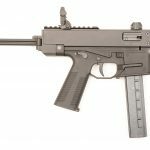 The pistol grip appears to come from a Swiss PE90. 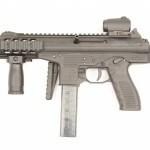 The KH9 has a cocking knob at the top with a short optic rail and front rail for iron sights. 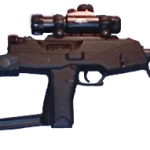 The closed-bolt blowback operated semi-auto weapon has a DA/SA trigger with a decocker. While no pricing is yet available, production is expected to begin before the end of Q2 2015. Production is rumored to be a limited run, this might coincide with the name of the weapon KH9, which is “Karl’s Hobby 9mm”. Karl is Karl Brügger, the B in B&T. Yes! Also interesting since the Spectre continued production until 2001 in Switzerland by Greco Sport after SITES in Italy stopped manufacturing it in 1997.